WILMINGTON, NC, January 18, 2019 — A recent story on the Washington Post website detailed some of the psychological effects school lockdowns create in school age children. The story was as heartbreaking as it was eye-opening. Some young children weep with terror. Others write final messages to family members – and worse. Award winning author, Positive Psychologist and selfie filmmaker Dr. Barbara Becker Holstein has an answer that is as powerful as it is unique. “We must help our children feel comfortable expressing their emotions, from joyous to despairing. Typically it is easy to be delighted and happy when kids express delight and are in a good mood. However when a child is cross, or pouting, crying over 'nothing' or having some sort of meltdown we are less resourceful as adults. We yell, we put down, we try minor punishments. Often we are unsuccessful. “What is often not acknowledged is that kids have dark emotions just as we do. This is particularly hard when it comes to issues around going to school. Most of us never had to worry about our safety once we entered the school building. In fact, for many, school was seen as a kind of sanctuary, a place away from a dysfunctional family, or a place with a great library and a free lunch and even milk in the morning. “Kids today often see school as a kind of battlefield. Their nerves are on edge. Will there be a shouting today? Will it be my school this time? Often kids don't know how to express their anxiety successfully. Here is where 'The Selfie Project' comes in. As a psychologist I recognize the importance of venting the more difficult emotions and thoughts we experience. “One way to get started is to encourage your child to make a Selfie video on what is on her mind about school. Then watch it together, if your child is comfortable with that and discuss the issues brought up. Dr. Holstein is currently developing 'The Selfie Project' to help kids share their feelings and thoughts in a meaningful way via Selfies that can reach millions. “The Selfie Project” provides a way for young people to go public on a number of subjects. Bullying is real, school violence is real, drama because of social media is real for kids. 'The Selfie Project' is giving voice to those subjects. A pilot TV show is in the development phase. Teens will have a chance to discuss via their Selfies and in discussion with Dr. Holstein, various topics that affect their lives, from friend drama to fear of assault weapons. As of this moment, teens can share a link to their Selfies and Dr. Holstein will consider them for inclusion on her website, SelfieFilmmakers.com. Holstein's short films have won numerous awards and accolades. Shown March 1 1018 as one of 6 outstanding women's films at the Behane Center in Jersey City, for Women's History Month by Golden Door International Film Festival. Selected to be screened at the Young Filmmakers's Screenings in Manhattan in early March, 2019. 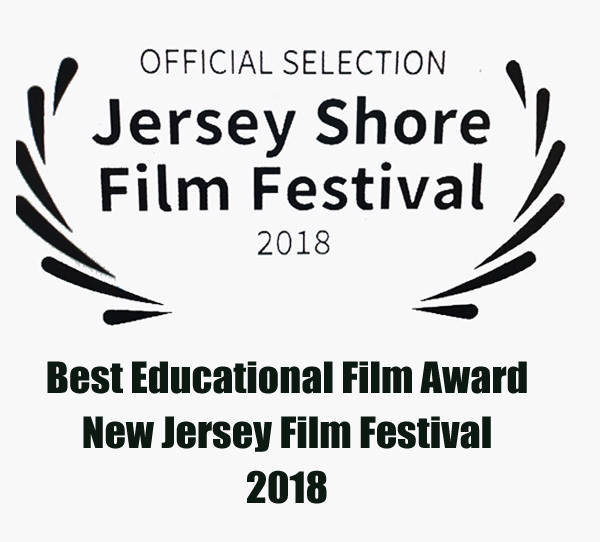 'Secrets' was selected for inclusion in “Passages: Women in Transition,” Women In Media – Newark's 2018 Women's History Month film festival, held on March 27 – April 5, 2018 at Rutgers University Newark, New Jersey, and at various satellite venues in the area. 'Falling in Love, A Coming of Age, Selfie Film, is detailed in a new ebook: 'A Selfie Film – Falling In Love' by Dr. Holstein. This ebook presents issues and stories behind the creation of Dr. Holstein's “selfie films”, which utilize cutting edge New Media technology. Topics and questions for discussion can be used by a parent and a child, or a group of hundreds as universal subjects of growing up and handling tough issues are presented. Dr. Holstein makes a number of her books and films available to be used as fundraising tools. She requests that any verified charitable organization interested in raising funds contact her via email. She is available for media interviews and can be reached using the information below or by email at [email protected]. More information is available at her website at http://www.SelfieFilmmakers.com. Dr. Barbara Becker Holstein, internationally known Positive Psychologist is the creator of The Enchanted Self ®, a positive psychology method for happiness and a pioneer in Selfies as Film. Dr. Holstein's Enchanted Self website was included as one of the best websites in positive psychology. She is in private practice in Long Branch, New Jersey with her husband, Dr. Russell M. Holstein. Dr. Barbara can be found on the web, interviewed, writing articles and posting video 'TED' style talks on Happiness, Positive Psychology, Relationships and Parenting. She has been a contributor to Your Tango, Heart and Soul, Cosmopolitan Magazine, Redbook, Real Simple, The Wall Street Journal, Time on line, the Today Show and Family Circle Magazine.